If you would like to contribute to the site, please fill in the form below. All your recommendations, comments & suggestions are always appreciated. 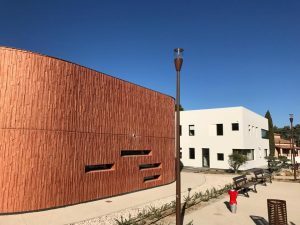 The International Bilingual School of Provence (founded in 1984) is a mixed day and boarding school situated in Luynes on the outskirts of Aix-en-Provence in the south of France. IBS of Provence, established in 1984, offers a bilingual curriculum to + 600 students from around the world (68 nationalities) from 2 to 18 years old. The school is an International Baccalaureate accredited school and also offers the traditional French curriculum as well as the IGCSEs from Cambridge.